Huge game on Sunday against the Cincinnati Bengals who visit Foxborough, in Tom Brady's home return. The player to watch this week has to be none other than A.J. Green. 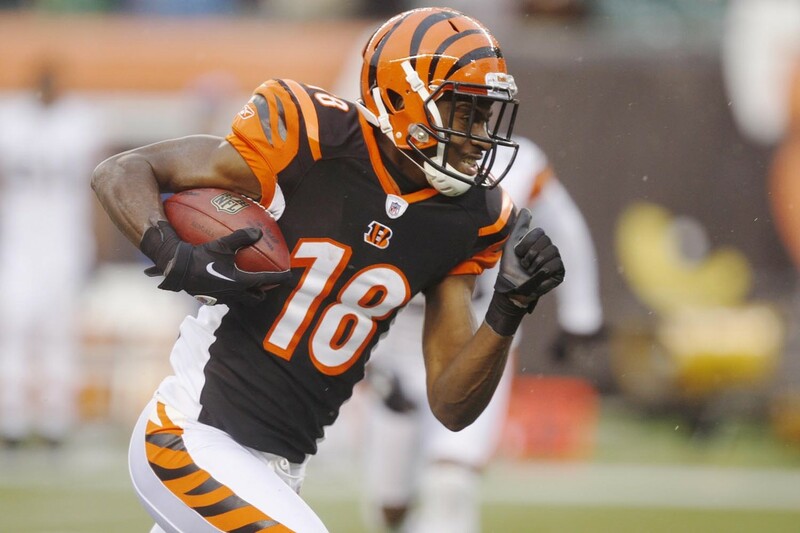 Undoubtedly one of the best wide receivers in the NFL, Green has already repaid the faith in him when the Bengals picked him 4th overall in the 2011 draft out of Georgia. In his first 5 seasons he has gone over 1,000 yards receiving. Only one other player has done this, Randy Moss who did it 6 straight seasons and with 518 yards already this year, I would expect him to break that record. How do you defend against a receiver that doesn't seem to have a weakness, 6-foot-4, 210 pounds against the Patriots small cornerbacks Malcolm Butler and Logan Ryan, looks ominous for New England. Rather than focus Green as much, if you put pressure on quarterback Andy Dalton who has looked flustered this year so far and force him to throw to secondary receivers. Green is his only major threat, in comparison to last season when they had Marvin Jones, Mohamed Sanu and a fit Tyler Eifert, the focus was off the former Georgia Bulldog. Defenses were getting occupied by the multiple weapons the Bengals had. With Eifert's injuries this year, and Brandon LaFell the only other viable option, put double coverage on him and you nullify the threat.